As a reliable Manufacturer, Exporter and Supplier, we bring forth a compact and highly efficient Comb Binder (SD-1201). It is capable of punching up to 12 sheets 80g of A4 sizes at a time. It also binds up to 200 sheets of A4 size paper. 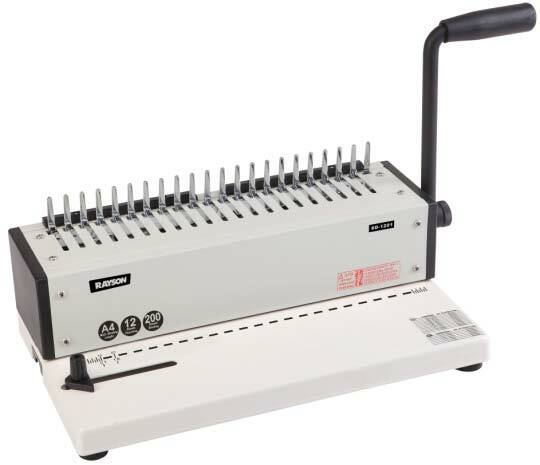 Our Comb Binder (SD-1201) is available along with a sturdy steel punching handle. Buyers can obtain our Comb Binder at reasonable rates from us! Punching up to 12 sheets 80g A4 per time.